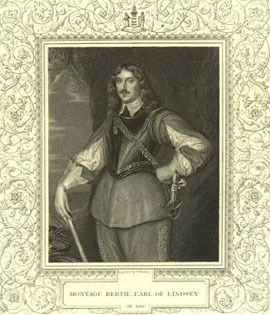 The regiment’s standard dress for musketeers and pikemen has been chosen to represent the 1643 issue given to the King’s troops in the Oxford Garrison. 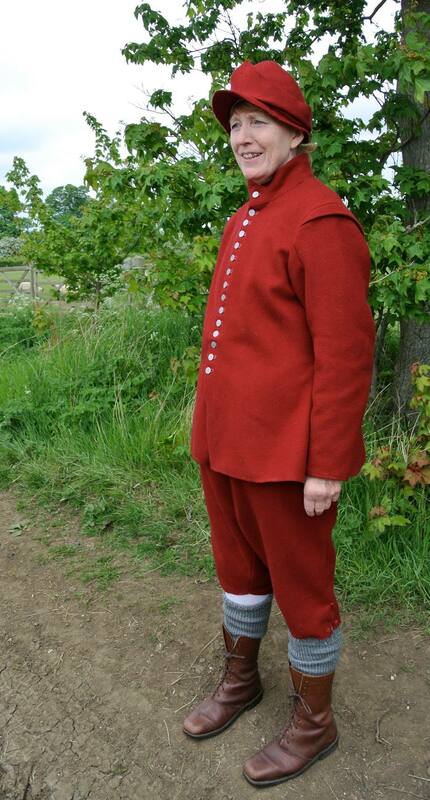 It consists of a coat, breeches and montero in the specified regimental red wool. Patterns, the wool for all these items, plus buttons and good linen for the lining are all available from the regiment at cost price. 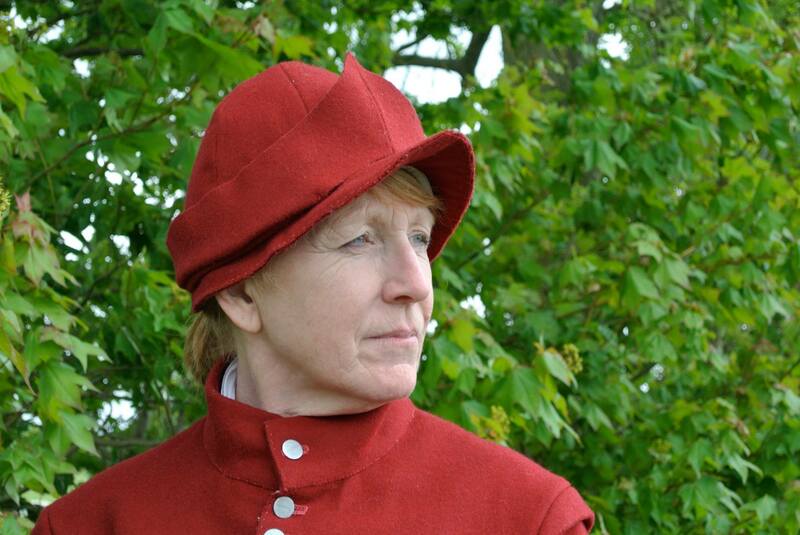 Cut to a 1640s style with no external waist seam and four tabs in the body. Two side vents at the bottom along the side seams and one at the rear. 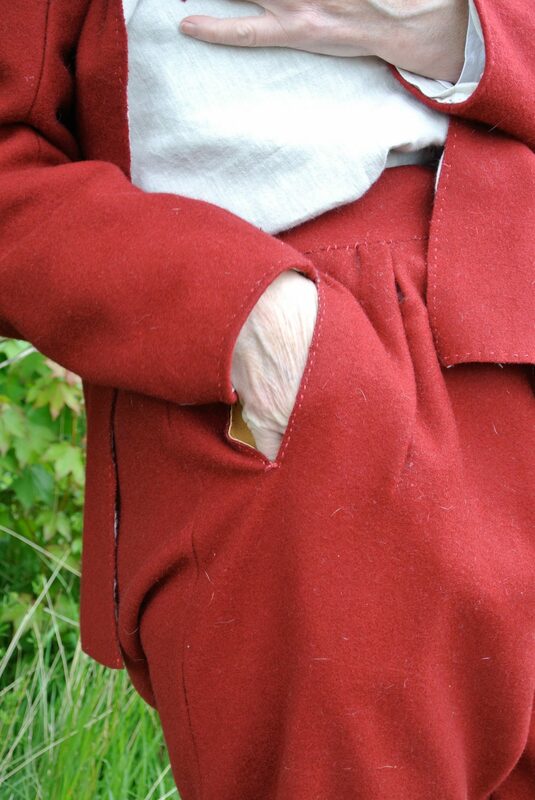 The sleeves are cut in two pieces with simple plain ends (no cuff). They are slightly curved and decorated with narrow shoulder wings at the top. 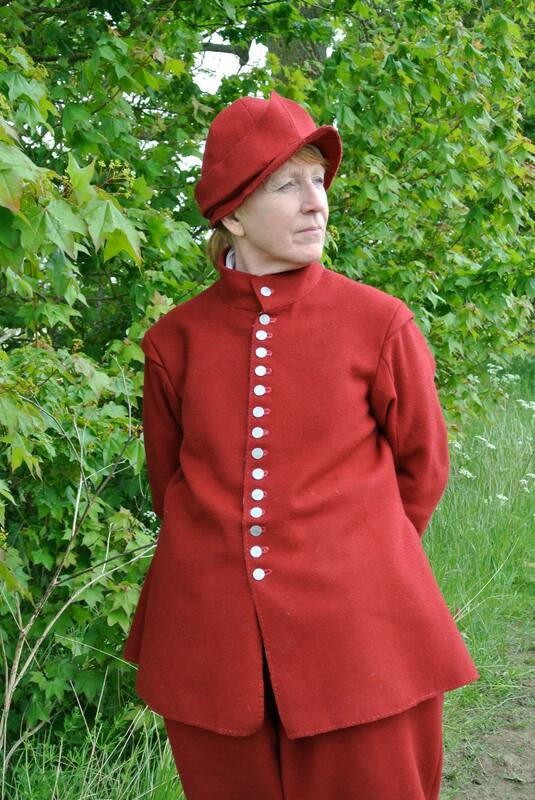 The coat has a standing collar, buttoned at the neck, is lined throughout with linen and closed with 15-20 flat (15mm diameter or nearest size) pewter buttons down the front. The wool is felted to allow for the period technique of leaving hems cut and unfinished. 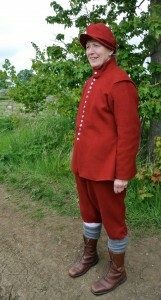 A 1640 style, gathered slightly into a waistband, tapering to the knee and lined throughout in linen. There are 5 or 6 flat pewter buttons on the fly and two worked eyelets on the waistband to allow a leather thong or period cord to tie the breeches. The lower end can be unconfined as here, or tied at the knee with tapes it is entirely the wearer’s choice. They should have one pocket on each side (either in the side seam or cut slit) made of soft oiled leather or heavyweight linen. Standard ‘dicker’ pattern montero with peak and folded skirt, available from the 1642 Tailor who will provide sized patterns and guidance if required. The patterns for the caps, coats and breeches are intended STRICTLY for regimental use only.